We know...flatware is not exciting and probably the last thing you'd want to shop for. However, it is literally something that you use everyday...and like we've said countless times, it's the details that matter, and flatware is one of the details. 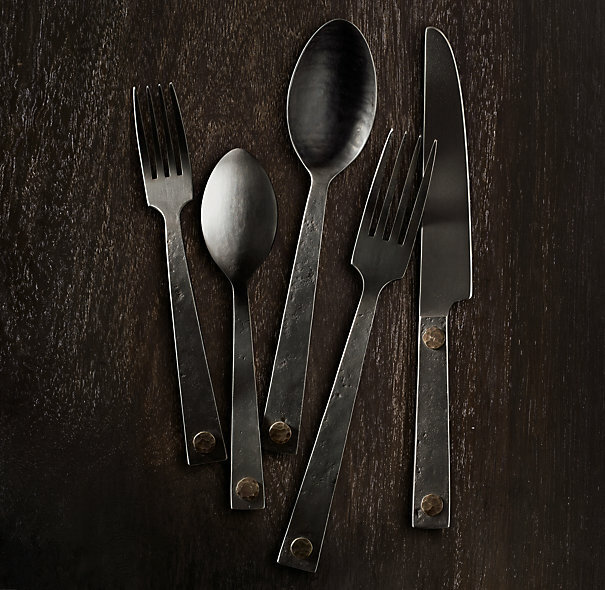 We like the hand forged feel and iron age appearance of the flatware set pictured above...and you could do a whole 8 piece place setting for well under $300. You can see and learn more here.